Over the past twenty years, the C-section rate in the United States has skyrocketed. Additionally, there has been an increase in maternal and infant mortality rates in the US compared to other countries in the world. Considering we spend more money on healthcare than any other country in the world, I was astounded and dismayed to see a shift amongst the birth community away from what is normal and natural to instead an overuse of technology and interventions, mostly in the name of malpractice and fear. I believe in the importance of natural childbirth, and believe that women can truly create the birth of their dreams.  I created the Brayton Birth Method because I felt so strongly that there was a need to empower and educate women- especially in the United States-on what is possible for them, their families and birth plans. Interventions during birth can be necessary and life-saving, but when the natural process of labor is uninterrupted by outside influences or a birthing mama’s disempowering thoughts, it can be a deeply rich spiritual experience that profoundly impacts the mama-baby unit. Ultimately, the shift in global consciousness begins with birth. If you have any questions or would like to request more information, please connect today! I would love to hear from you.